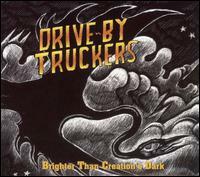 Even after seven great records (in a row, in under a decade) the Drive-by Truckers continue to miss out on the sort of success that one would expect of a band of their caliber. 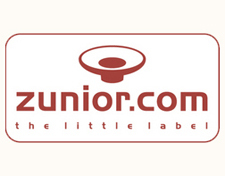 Sure, the critics love 'em and there's a small-but-devoted fan base, but they have neither the record label to propel them to the mainstream nor the all-important cred to appeal to the indie kids. 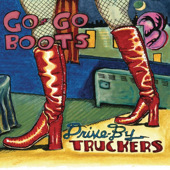 At least in my experience, getting people to give Drive-by Truckers a shot can be like pulling teeth. 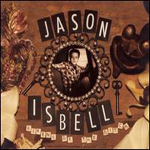 Which all goes to explain why Sirens, the debut solo album from Jason Isbell, one of their three songwriters (and now ex-member), deserves all the attention it can muster. It helps, of course, that it's one of the better alt-country records in recent memory. Isbell wrote several of the more memorable songs on Decoration Day (2003) and The Dirty South (2004): "Decoration Day," "Outfit," "Never Gonna Change," and "Goddamn Lonely Love" were all Isbell tracks. These were gorgeous, hard-charging, blisteringly well-played songs; the ones that the fans can recite word-for-word (and which Isbell is thankfully still playing live with his touring band). 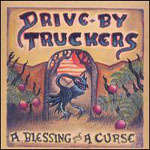 His songs off A Blessing and a Curse (2006), the most recent Truckers' album, were a different story. While still quite pretty, "Easy on Yourself" and "Daylight" were tuned more to AM pop (albeit of the '70s) than to CCR or Lynyrd Skynyrd. That's the mood that he continues to pursue here. While he's still willing to let loose with a rocker or two (most notably the Patterson Hood-assisted "Shotgun Wedding"), there's not much Southern-gothic here. Instead he's taken the Muscle Shoals sound and written 11 pop songs with a strong Southern accent. It could have backfired, and some might argue that he's playing against his strength, but Isbell's enough of a songwriter and performer to make it work, and he knows it. If anything, the problem may be that he's overreaching. He doesn't settle into any one genre here, nor does he seem terribly interested in developing theses categories. There are a couple of rockers ("Brand New Kind of Actress," "Try"), a number of Southern burners ("Down in a Hole," "The Magician," the gorgeous "Hurricanes and Hand Grenades"), a few pop songs ("Grown," "Shotgun Wedding," "Dress Blues," the heartfelt "Chicago Promenade"), and a couple acoustic folk songs ("The Devil is My Running Mate" and the killer "In a Razor Town"). All these songs are pretty great, but, taken as a whole, they can feel a bit disjointed. Going from the nasty "Try" to the quiet piano-driven "Chicago Promenade," for instance, is a bracing transition. For the most part Isbell has them ordered pretty well, but there's only so much you can do. The parallel that keeps presenting itself to me in thinking about this record is with that of a young Ryan Adams. Both Isbell and Adams are the bright young things of country music; both broke with critically acclaimed groups to pursue solo careers (the sorely-missed Whiskeytown in Adams's case); both are phenomenal lyricists and singers when they put their minds to it. Sirens is no Heartbreaker -- though the stylistic grab-bag is reminiscent of Adams's debut -- but it is a damn good start. 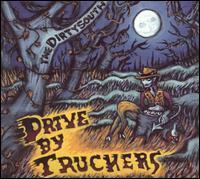 It remains to be seen whether, on his own and free from the Drive-by Truckers (almost all of whom guest on Sirens), he will be able to do better than Adams has done over the last five years. For now, things certainly seem promising.